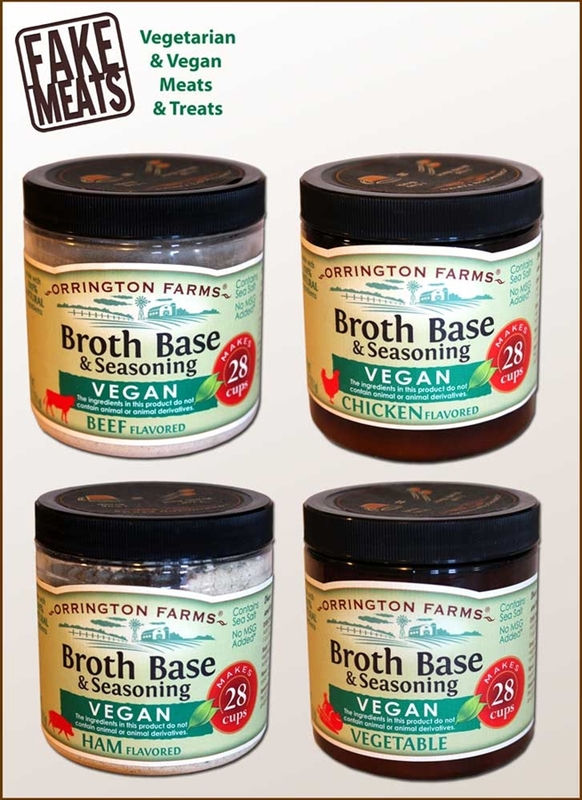 Includes all of the Orrington Farms vegan seasoning flavors. A great way to find your favorite flavor! This vegan / vegetarian seasoning is perfect for flavoring your soups, stews, sauces, casseroles, and fake meats. This all natural, powdered, seasoning has rich flavor and contains no animal ingredients. Add 2 tsp. of this vegan seasoning to 1 cup of water for a rich and full-flavored broth. Each 6 oz. jar makes 28 cups of delicious vegan / vegetarian broth.